As a student of life, my path to becoming a therapist was a natural one. More than anything I believe in people and their inner wisdom. I believe in humanity and its ability to heal. And I believe in human kindness. All of this has lead me to where I am today; loving my place here at Process Therapy Institute. Are you ready to join me? Gail works with clients to find their potential for a happier and more fulfilling life. She is passionate about helping clients manage the demands of marriage, parenting, school, career and the everyday stresses that come with living in Silicon Valley. She is a marriage and family therapy trainee under the supervision of Don Hadlock LMFT 15316, graduating August 2018 with a Master’s in Counseling Psychology. 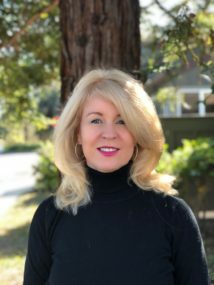 In addition to her professional training, Gail has experienced first-hand the anxiety and challenges that come from being a single parent, managing through a divorce, and caring for sick relatives while working at demanding valley companies. She welcomes the opportunity to help you reach your counseling goals.